Passed! 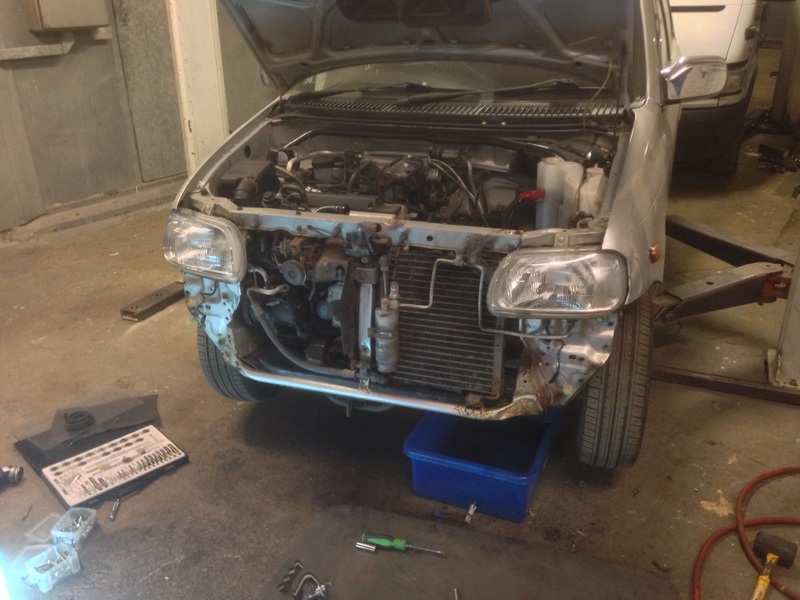 Advisories for fuel lines, rusty springs and a crack in the turbo manifold though. So yeah, Bambi (as she's now been affectionately called) is back on the road. I thought I'd go into a little bit more detail regarding what happened over the last couple of days. Started out by removing all of the broken stuff from the car. 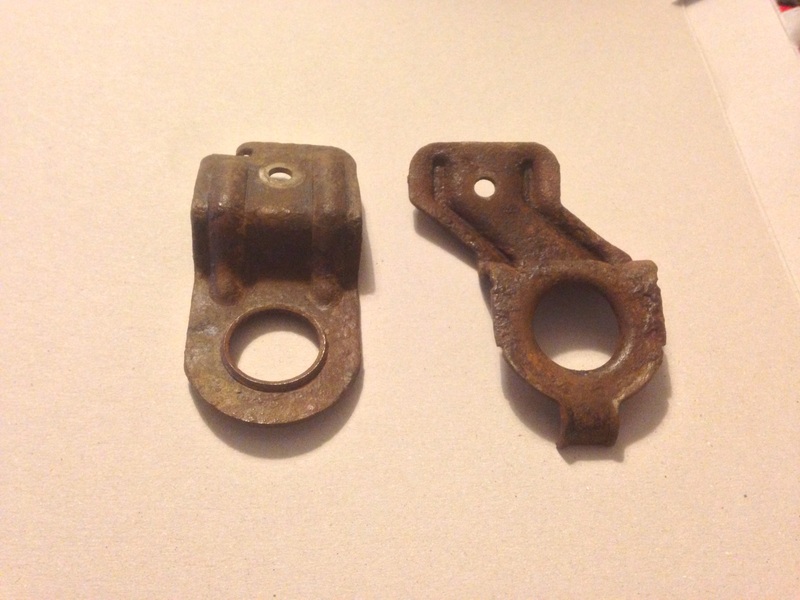 Decided to try and clean up the hideously rusty radiator mounts. Seemed to take what felt like forever. New lights put on. They're the "older" style reflector headlights, but they work as a direct replacement. Interestingly they came with headlight adjusters, which the ones I had on there originally didn't. Surprisingly, the main frame of the car wasn't really bent at all. 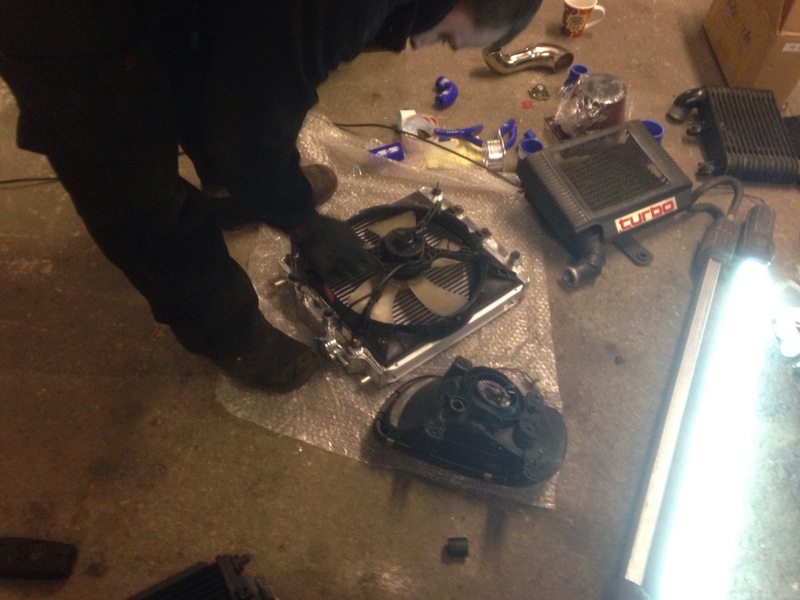 New radiator in along with the Samco radiator piping kit. Radiator mounts painted (badly) but are now rust free... Sort of. Turns out the the Momo boss kit for the L5 Cuore actually fits, surprisingly. 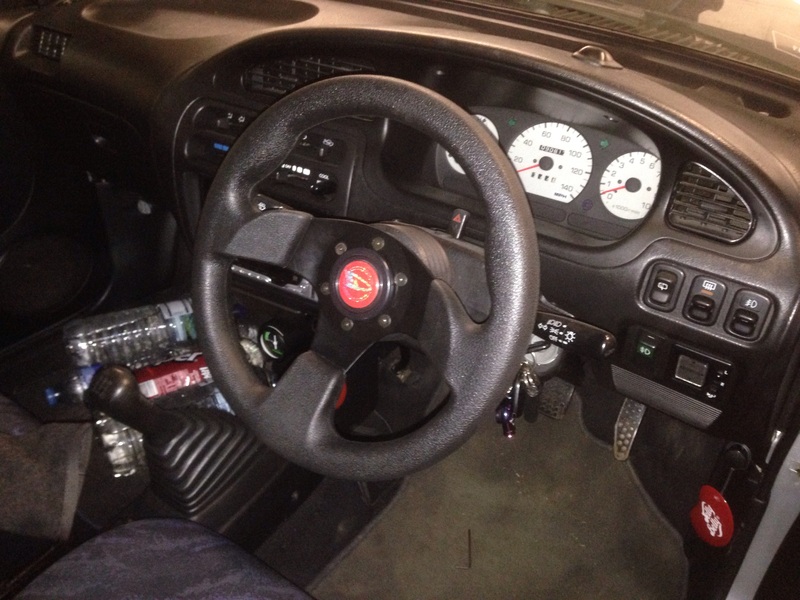 The comically small steering wheel is kinda fun too. 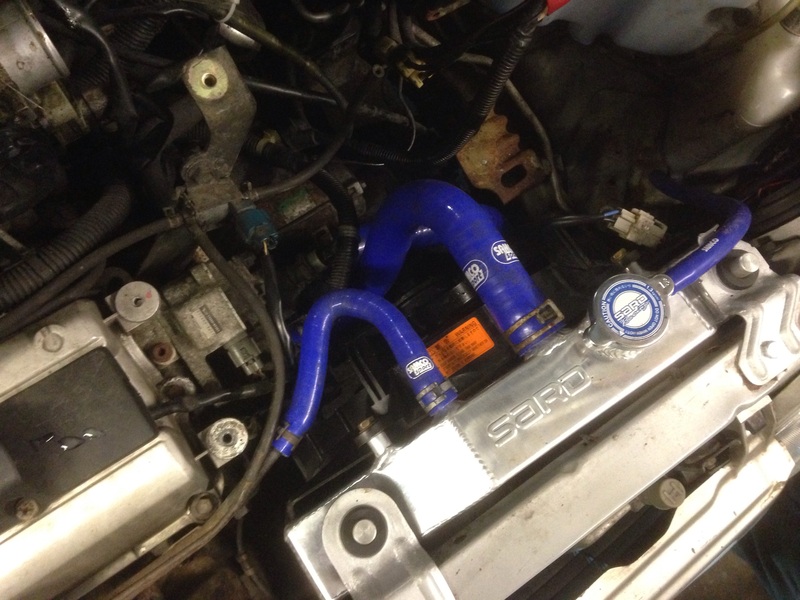 Still got the induction kit and rest of the piping kit to go in. 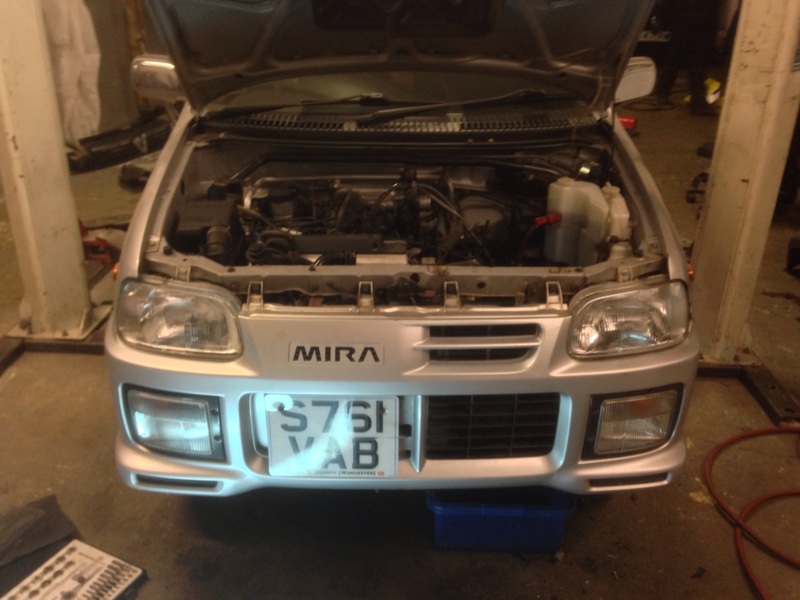 Also still on the lookout for a new, rust free passenger side front wing, bonnet, headlights and passenger foglight. But at least it's up and running again. Probably going to change the hose clamps at some point too. Thinking about some shiny stainless ones. Last Edit: 19 Mar 2015 09:34 by loopdeloop. Also, the aircon radiator is completely useless now, since there's an entire corner missing. Has anyone got a functioning one kicking around? 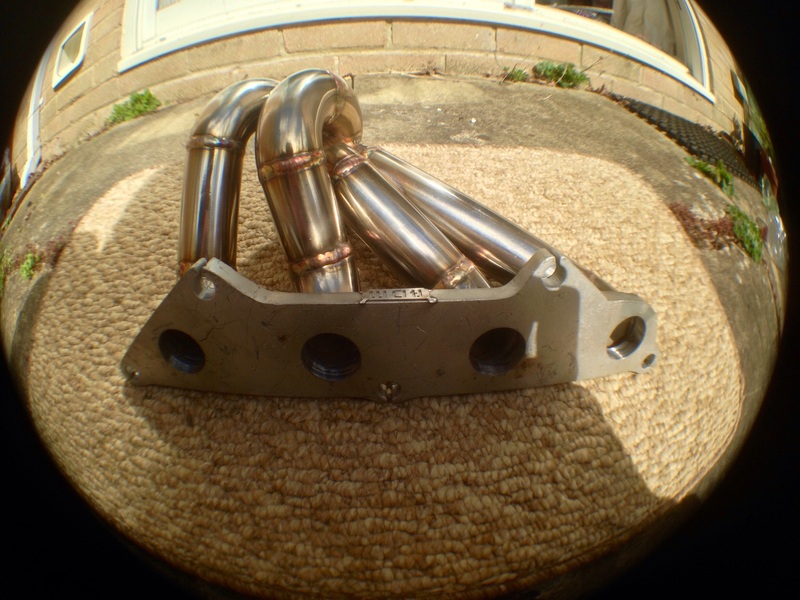 Could also use a new turbo manifold, VERY soon. It's blowing like crazy and I can't seem to find one anywhere (aside from buying one from Keicar4life. Which I'm not going to do because he's a thief). Does anyone have any ideas? Also, here's what's left of the damage. Bonnet is creased just under the scoop as well, where Mrs Deer bounced onto it. Usual paint flaking and therefore rust from being bent, then smashed back again. I might sort it, but then again the wings and bonnet are pretty rusty anyway, so I might just be better off getting better condition ones. Last Edit: 19 Mar 2015 18:24 by loopdeloop. 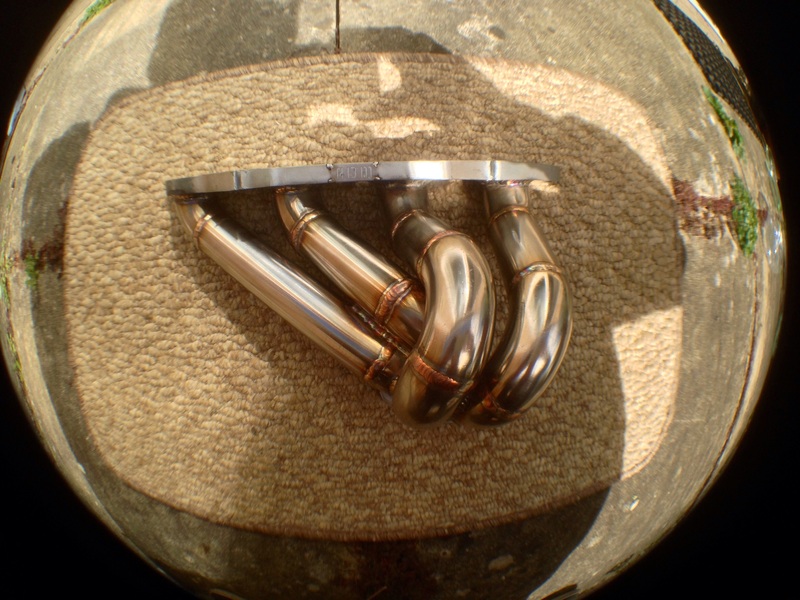 Ordered a custom stainless steel 4 branch manifold with flange for the standard turbo from GFast Motorsport, Malaysia. Should be arriving in the next few weeks, so that's exciting. Also ordered some transmission oil for my transfer box and rear diff (80w-90), as well as some gearbox oil (75w-85). That should be going in as soon as I get them delivered. I should probably look at getting some gearbox linkages as well at some point, considering that mine are completely shot. Looking into how to mount the cables that are currently going into the air box, for when it's swapped over to the induction kit. How has everyone else gone about doing that? Oh, and my engine fan still isn't kicking in, which is annoying. It works when connected directly to the battery, but never kicks in when the engine gets hot. Any thoughts on that one? Last Edit: 28 Mar 2015 21:21 by loopdeloop. 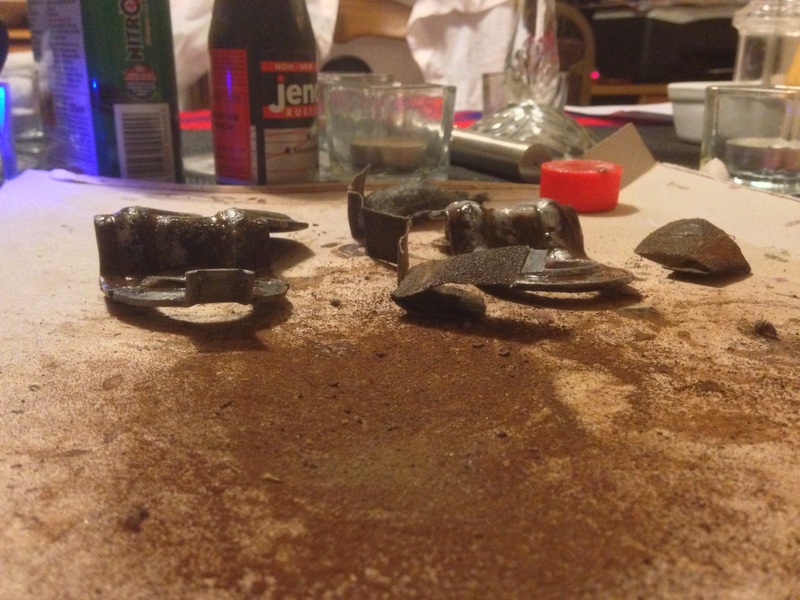 Managed to change the rear differential oil, transfer box oil and gearbox oil this week. Generally drives a lot smoother than before, and the gearbox feels heaps better. Just need new linkages to make it feel silky smooth, one hundred percent of the time, once again. Manifold is currently sat in customs, and has been for four days so far. They're probably working out how much they want to charge me. 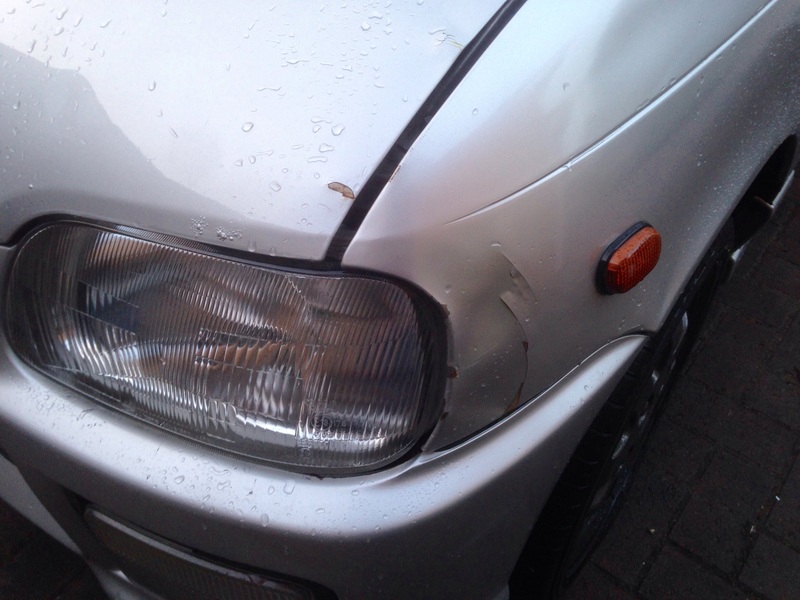 Bought a replacement passenger side headlight from Buyee today, for the princely sum of £5-ish. Just the newer "clear" type, which should look good on the car once again, as before. Might've found some replacement wings too. They're the right colour, rust free and around £60 for the pair (postage from Japan might be rather pricey though...) We'll see what happens with them. Still haven't found a replacement bonnet, though. Last Edit: 09 Apr 2015 23:31 by loopdeloop. 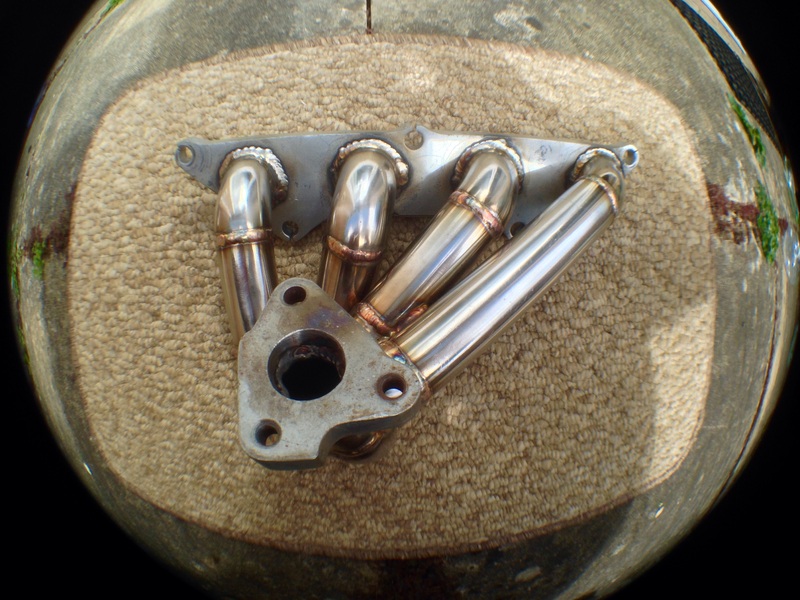 Custom stainless turbo manifold arrived today from GFast Motorsport in Malaysia, and I must say I'm more than happy with it. Looks really well made, and appears to have been done by the same guy that made Dazran's manifold with the TD-04 flange. 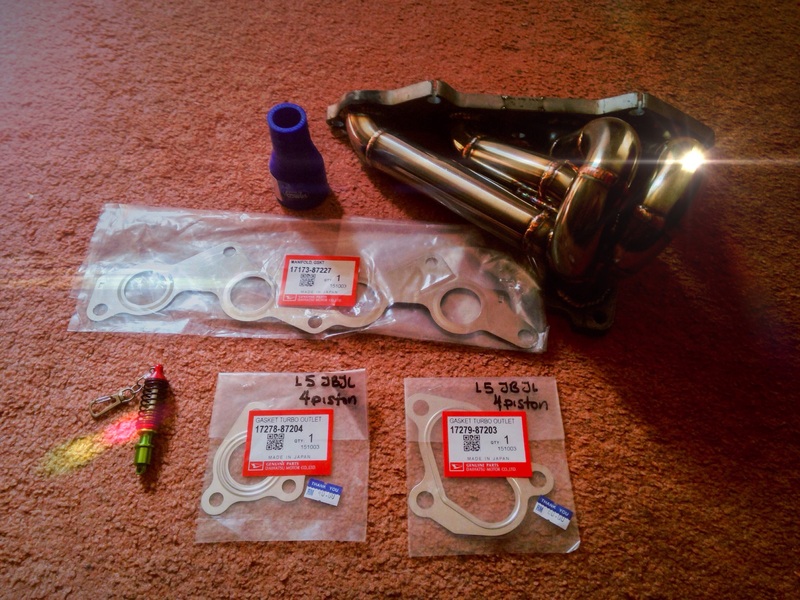 Also got some turbo gaskets, as well as a new exhaust gasket. And a Samco reducer pipe for when I add a blow off valve at some point in the future. Got given a funky keyring too! A Tein coilover, that actually works! This should all be going on the car next week, providing that it isn't too tricky to remove the old one. Rusty bolts are a pain, though. Last Edit: 12 Apr 2015 02:42 by loopdeloop. Thanks for supplying parts! I don't know what I would do without your help.